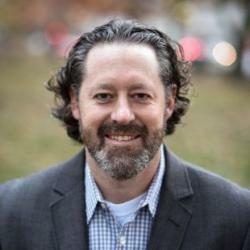 Ryan Trost, co-founder and CTO at ThreatQuotient, has over 15 years of security experience focusing on intrusion detection and cyber intelligence with specialized insights into computer network defense (CND) operations. He is a recognized leader in the cyber industry through conference speaking engagements including BlackHat, DEFCON, SANS, and High Technology Crime Investigation Association (HTCIA), as well as, published author of Practical Intrusion Analysis. He developed one of the first geospatial intrusion detection algorithms used to identify geolocation attack patterns. Ryan has successfully managed several large Federal and Commercial Security Operations Center (SOC) teams by focusing on forward-leaning techniques for detecting and responding to nation-state adversaries; structuring and automating the IOC lifecycle; and fusing Intel from non-traditional sources.